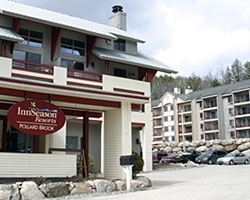 When it comes to multi-destination memberships, *InnSeason Vacation Club - Multi-Destination*, known for its excellent inventory in the Northeast, is one of the best! Making use of points as a vacation currency, InnSeason allows for great flexibility. Members can choose from a catalog of over 2,200 resorts worldwide! An array of amenities and activities as varied as a member's imagination awaits. Visit www.innseason.com to discover more! *Global Resorts Vacation Club* Featuring finely appointed floating accommodations. Biennial even usage is based on points, with 110,000 points every other year. For more information or to make an offer, please submit the inquiry form.